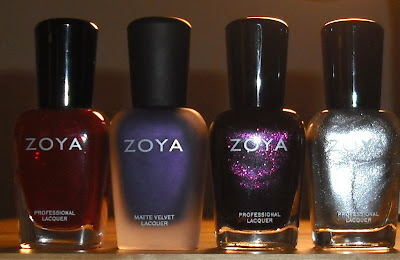 Before I get into the Zoya goodies. I have to talk about scary statues briefly. My BF and I late at night watch sci-fi series. We've watched all of the Star Trek series and we moved on to Doctor Who.This show is about time travel and has sci-fi aspects. I really enjoy it. If there are scarier elements it's usually balanced out with some silliness and humor, so it's all good. I don't do scary. Well, there was this one episode last night that was pure scary. I won't give it away but it had to do with these really creepy/terrifying "weeping angel" statues moving around when you weren't looking changing their face expressions into absolutely terrifying demon-like ones. It was AWFUL. No sleep for me. Blech. Scary and I don't sit well. I'll live though, but I have no interest in seeing statues anytime soon. 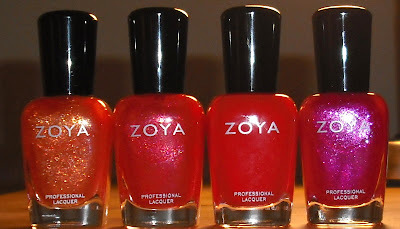 On to Zoya goodies which equal happiness! This is just a recent haul of Zoya's I got during the Halloween special where you got 3 extra colors with an order and their BOGO free sale. Enjoy the pretties! Those are the goodies I got. I will be posting swatches of these in the upcoming days and weeks. I was happy with my selection. I have difficult time picking out Zoyas because I can only purchase them online. I find Scrangie's collection of Zoya swatches to be VERY helpful. Have a happy and creepy statue free Wednesday! I have a couple of those!! I've been lemming Edyta - I can't wait to see how that looks on you. Oooh! 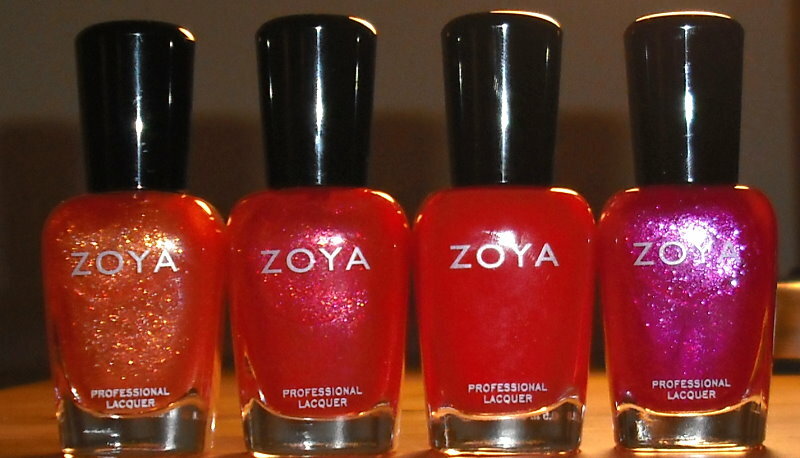 And Tallulah - that's at the top of my Zoya list, too. Thank jeebus for Christmas wish lists. :) And I'm like that with "scary" shows, too. The hubs always makes fun of me. I LOVE Valerie! It's so pretty both in the bottle and on the nail. Zoya is so fabulous, I wish I had more, their formula is like butter. My Ulta recently started carrying them, actually, I was really surprised! Oooh I like the pinks, and valerie looks gorgeous! 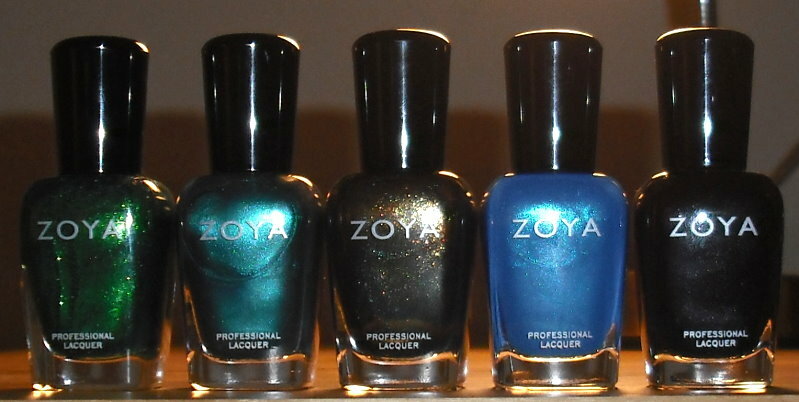 I've got a Zoya order on the way. You picked some gorgeous ones. I'm looking forward to seeing your swatches of them. Wow, those look like some very very pretty colors. Can't wait to see your swatches. 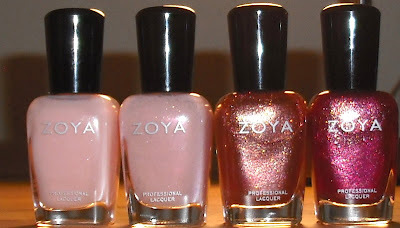 I want to try Zoya's just haven't had the extra cash to do so. I love Dr Who! But I know exactly the episode you're talking about and it was certainly one of the more freaky ones. I can't say I care for angel statues that much anymore. 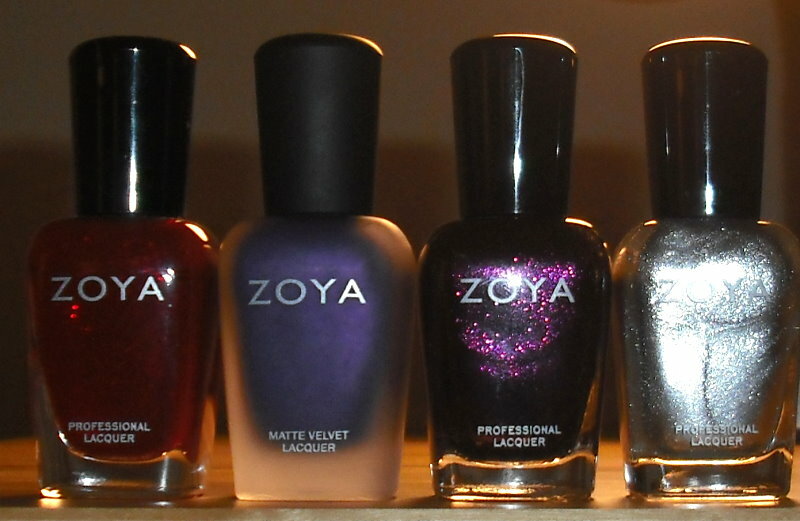 I'm so jealous, I don't have any Zoya yet. Where do you get yours? About the Dr Who: Check this out! Ivana- Ugh, I'm sorry Zoya's are so expensive there. I'd normally consider $7 for nail polish expensive, but I think it's so worth it. If I had the money I'd buy all of them. attacked- I haven't seen any at my Ulta. Valerie is AMAZING. Pictures don't do Valerie justice. Anita- It's funny how mnay people knew exactly what episode I was talking about. It seems to be a universally freaky episode! I get my Zoya's at www.zoya.com . I know some Ultas carry them, but I've only been able to purchase them online. I have a lot of the same colors, Tallulah is the best, so pretty!